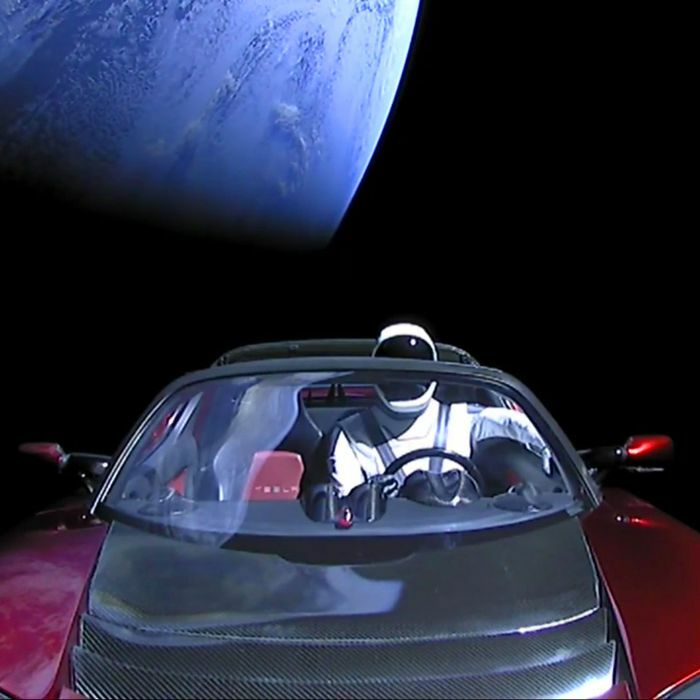 Elon Musk’s Tesla Roadster is floating in space. SpaceX streamed the first few hours of the car in space — it’s attached to the top of Falcon Heavy’s upper stage — and, fine, despite being gimmicky, it’s also incredibly cool. The plan was to direct the rocket around the sun and out to the Mars orbit, but Falcon Heavy’s route hasn’t gone entirely according to plan. Instead, following its third burn, the rocket appears to have overshot that destination and is now, according to Musk’s tweets, headed toward an asteroid belt between Mars and Jupiter. Experts speaking with The Atlantic are skeptical of these claims. Instead, they believe that the graph was off and the car won’t actually reach the asteroid belt. “Revised orbital data provided by SpaceX and shared with NASA’s Jet Propulsion Laboratory’s system for tracking solar-system bodies showed the original graphic was incorrect,” The Atlantic reports. It’ll take 18.8 months for the car to complete its trip around the sun, and it will cross paths with Mars twice during those months. Stay safe out there, Starman. Update, February 8, 2018, at 10:44 a.m.: This post has been updated to note that Musk’s Tesla is actually not headed toward an asteroid belt between Mars and Jupiter, as Musk initially announced.